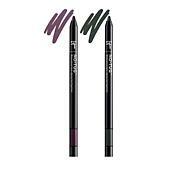 What it is Utilizing cutting-edge anti-aging no-tug technology, these new Automatic No-Tug® Waterproof Gel Eyeliners glide on saturated, rich color without tugging on your delicate eyelids! Developed with plastic surgeons, these innovative yet easy-to-use eyeliners do the work for you, plus they’re infused with anti-aging technology and skin-care benefits including hydrolyzed silk, collagen, and anti-oxidants. Plus they are clinically proven waterproof even after 12 hours of wear! 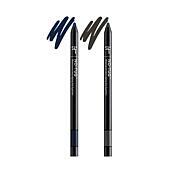 What you get IT Cosmetics No-Tug® Waterproof Gel Eyeliner 0.017oz in Navy What it does Utilizing cutting-edge technology these new No-Tug® Waterproof Automatic Gel Eyeliners glide on saturated rich color without tugging on your delicate eyelids. Clinically proven waterproof even after 12 hours of wear! They’re also infused with anti-aging technology and skin-care benefits including hydrolyzed silk, collagen, and anti-oxidants. 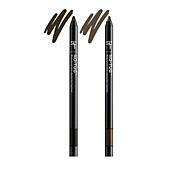 With these eyeliners you can easily apply rich pigment to your lids without tugging or pulling at the gentle skin of your eye area! This new formula is packed with good for you ingredients including Green Tea, Jojoba, Pomegranate, Aloe, Chamomile, Avocado oil and Cherry oil just to name a few! Paraben-Free, Fragrance-Free, Sulfate-Free. How to use Gently and effortlessly glide on No-Tug® Automatic Waterproof Gel Eyeliners to your upper and lower lash line or inner rims to define your eyes with beautiful definition that lasts all day! For the look of a full lash line, draw a line as close to your upper and/or lower lashes as possible. To create a flattering eye shape, extend the line slightly at the outer corner. 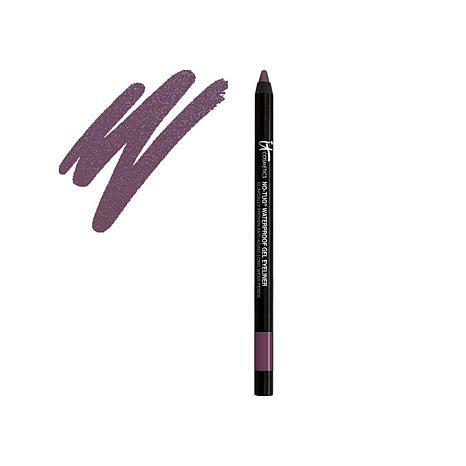 For a sultry or smoky look, use the first few minutes of play time to smudge liner before it sets. Remove with waterproof makeup remover. Use multiple liner colors together or wear separately. 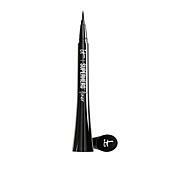 Im going to look for more the plum is perfect and it is easy to use. It says no tug but I had to go back and forth on my eyelid at least a dozen times. Still no visible color. Maybe mine was defective.